If you love to play a game of pool or two, you need to visit a pool hall in Massachusetts. Have a fun yet relaxing night out with some friends. 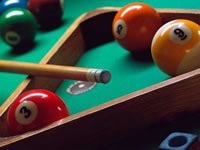 Grab some food and a few drinks and hang out at one of the pool halls around MA. 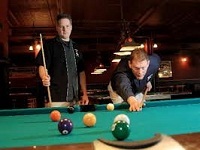 Flat Top Johnny's is Cambridge MA's premier pool hall. Since 1993 they have been providing pool, darts, pinball, food, drink, and a casual fun environment to enjoy them in. Located in the One Kendall Square complex close to The Cambridge Brewing Company, The Blue Room, The Kendall Square Cinema and West Bridge, Flat Top's offers 12 pool tables, a full list of locally crafted beer, cocktails and a menu of tasty pub noshes. Flat Top's is open 7 days a weeks, from 3:00 pm to 1:00 am. Smith's Billiards is one of the oldest and finest pool halls of MA. It is in-fact a popular one all around the Massachusetts state. 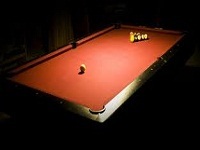 The pool hall stays open every day for all from 5:00 pm to 2:00 am. For people of MA that love playing pool, the place is a wonderful place for them. People may even enjoy the lounge of Smith's Billiards while playing pool. 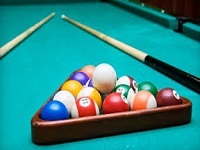 For playing pool their hourly rates are from $4.80 to $9.60 for one to four players. You may check out their webpage for more info. Jillian's is a wonderful gaming zone of MA. They have 35 billiard tables to enjoy pool and it contains 12 plasma screens and a huge lounge for refreshments. Here you may also arrange your party and have fun. The place is even good for corporate parties, wedding celebrations and for any party. At Jillian's you will get a huge opportunity to play games and have fun with your friends, especially for pool lovers the place is the best. O'Lindy's Quincy is a wonderful gaming place of MA. People that love playing games may go here, especially to play pool, bowling even darts. The pool hall stays open seven days a week. Their hourly rates for playing pool are from $10 to $12 based on time, holidays and closing days. You may go here to pass some wonderful time with your friends. The place is in-fact awesome for birthday parties even for any private parties. You may check out their webpage for more info. 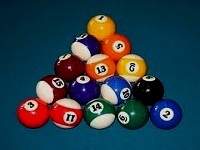 On the Hill Tavern is truly a wonderful place to play pool and have fun. They offer exciting games even live music to pass a beautiful time. The place is in-fact a wonderful place to watch games on TV. People that love to play pool or want to enjoy sports on the TV with drinks and foods may visit the place. For more info about the On the Hill Tavern you might check out the webpage of the hall or may contact them for info. Break-Away Billiards is a wonderful place to play pool. They offer a huge space of 7500 square feet with a lot of rooms to enjoy parties and pool playing. The pool hall stays open on Sunday to Wednesday from 11:00 am to midnight and on Thursday to Saturday from 11:00 am to 1:00 am. Break-Away contains an 80 foot long bar and a huge space for playing pool. They have 16 pool tables even a snooker table, several dart boards and more. You may also rent the hall for parties. Corner Pocket is among the famous gaming places of MA. They offer pool, darts and ping pong to play. Here you may also join to play in leagues or tournaments. They stay open Monday to Thursday from 4:00 pm to 1:00 am, Friday 3:00 pm to 1:00 am, Saturday 5:00 pm to 1:00 am and for Sunday 5:00 pm to 12:00 am. To play pool in a wonderful environment even to enjoy drinks and food the place is truly an awesome place. They also offer seasonal pool leagues to bring the best excitement to you. 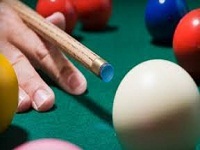 The Billiards Cafe is one of the finest and largest pool halls of MA. They offer an exciting environment to enjoy pool and pass a wonderful time. There are a lot of yummy food items, several drinks, private function room even snooker tables. It's just awesome to play here. They even ensure the best pool tables to play are. Here you may even enjoy junior and adult leagues, fun tournaments and more. To check available hours and time schedules you may check their webpage or may contact them. They ensure a wonderful gaming environment for you. Maxamillians Billiards is one of the famous billiard places. If you really love to play pool you may visit the place. This is in-fact a famous sports bar having a lounge and yummy foods. The place stays open Monday to Wednesday from 4:00 pm to 1:00 am, Thursday 4:00 pm to 2:00 am and Saturday and Sunday from 12:00 pm to 1:00 am. The pool place is in-fact famous for yummy brick oven pizza. You may check out their webpage for detailed info and to know about their pool tables. 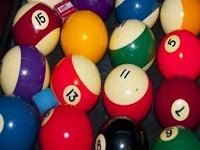 Westgate Lanes Inc offers a wonderful atmosphere to play pool. They have 13 Brunswick Gold Crown tables to enjoy pool. The place stays open Sunday to Thursday from 8:00 am to 12:00 am, Friday from 8:00 am to 1:00 am, and Saturday from 8:00 am to 2:00 am. People of MA that love to play pool may go here to play and have fun. Here you may even enjoy music while playing pool. Westgate Lanes charges an hourly rate of $10 to $12. Here you may even find many other games to play. You may check out their webpage for more info. 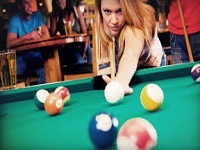 Michael's Billiards & Sports Bar is amazing to play pool and have fun with friends. They have 10 pool tables and 5 large TVs to enjoy. You will even find a variety of drinks to have. Michael's Billiards is in-fact a perfect place to enjoy pool tournaments. The place stays open daily from 5:00 pm to 1:00 am. Their hourly rate is only $6 and for Monday and Tuesday they offer $3 for an hour. To play pool with a very cheap rate the place is in-fact wonderful. You may check out their webpage for more details. Stix & Stones offers a large space to enjoy and play pool with friends and buddies. At Stix & Stones you may even enjoy music and have fun with drinks and food. The place is in-fact perfect to pass a wonderful time with friends. They have 10 large pool tables and flat screen TVs along with more things to enjoy. In-fact to arrange a party the place is simply awesome. The place stays open Monday to Saturday from 11:00 am to 1:00 am and Sunday from 12:00 pm to 1:00 am. You may also visit their webpage for more details. London Billiards is truly a wonderful place to play pool and have fun with friends and buddies. They arrange tournaments to play and league games of pool. The club even offers dart leagues, water pong and more. You may also enjoy 8 and 9 balls even snooker and have fun. They provide the best and quality pool boards that you can play comfortably on. For detailed info visit their webpage or contact them. 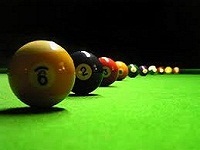 The club even ensures a wonderful environment to play in pool leagues and tournaments. The Fan Club ensures a wonderful gaming environment to play and enjoy pool. They even offer tournaments and league games of pool. The club stays open Monday to Saturday from 11:30 am to 1:00 am and Sunday from 12:00 pm to 1:00 am. To have a wonderful time with friends and to have snacks and play some games, this pool hall is really a wonderful place. They also offer 9 ball tournaments on Sunday, even poker leagues and more. You may visit their webpage for more details about tournaments and league games.